With so many people going Gluten Free either by choice or due to medical need it's important we all become aware of Gluten Free companies. One of those companies is The Pure Pantry. Elizabeth Kaplan, the founder and CEO The Pure Pantry has Celiac Disease. She was disappointed in the lack of healthy, good tasting, gluten free products on the market, and set about to change that. As a friend you want to have goodies that everyone can enjoy, including those on a Gluten Free diet. Not sure where to start? 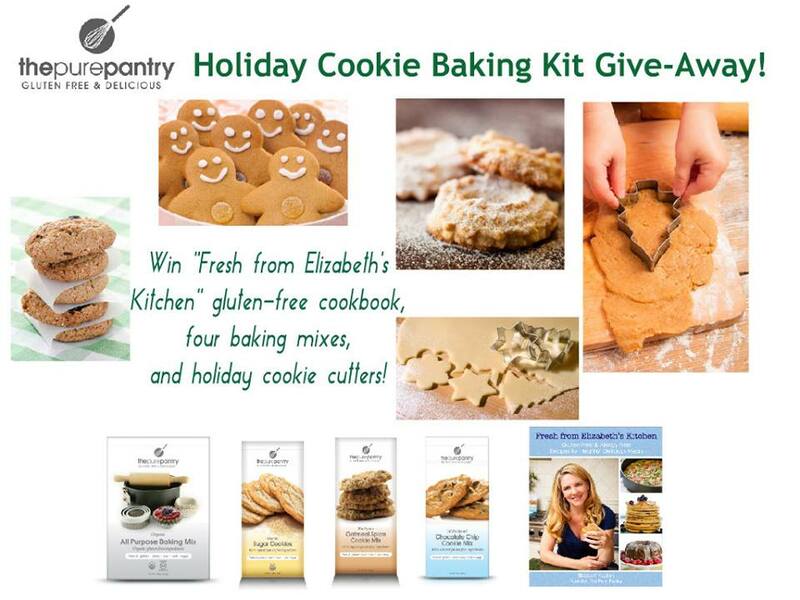 The Pure Pantry can help with their assortment of Baking Mixes and Cookbook by Elizabeth Kaplan. Between the cookbook and these mixes you'll have the perfect foods on hand for everyone during the holidays. It's no secret that I LOVE to cook. One of my favorite things to do is whip up delicious meals for my family to enjoy. I enjoy experimenting with different flavors and cooking methods, and often find cooking very relaxing. One thing I don't enjoy, especially as it gets freezing cold here in Ohio? Grocery shopping. I swear, I will never get used to the Ohio cold. Just last week, I went to the store bundled up like an Eskimo, while other people were still wearing shorts. Yes, I got a lot of funny looks. What can I say? Me and cold weather simply don't get along. So when I got the opportunity to check out Schwan's Home Delivery Service, I jumped at the chance. Food, conveniently delivered right to my door? Sure! Sign me up! Okay, so I have to admit, I have seen "Maleficent" 3 times in the past 24 hours. Not even kidding. Normally, seeing the same movie over and over and over again with little break in-between showings drives me nuts. Sadly, it's also a reality here, since preschool-aged kids tend to like seeing the same program 3,489 times in a row before moving on to the next big thing. However, seeing "Maleficent" over and over has been a pleasure. You see, this movie has totally blown my mind. We're all familiar with the classic fairy tale, "Sleeping Beauty", right? Well, you might think so...It's a timeless tale that everyone seems to know like the back of their hand. Beautiful baby princess is cursed by an evil villain, whisked away to live in the woods with 3 fairies, pricks her finger on a spinning wheel, which causes her to fall into a death-like sleep, ultimately to be awoken by Prince Phillip's kiss, right? Right? In Disney's hit film, "Maleficent", you will find a completely different take on this much-loved story. Yes, many of the details remain the same. Princess Aurora does in fact get cursed. She does end up in the woods, raised by 3 fairies disguised as peasant women. Yes, she does end up falling victim to said curse and falling into a death-like sleep. But there are details in this film that were somehow lost in this classic fairy tale, ready to be revealed. Details that will change the way you view one of Disney's most hated villains. The next product I'd like to share is a practical one. I don't know about you, but I always try to grab a few gifts for the kids that are useful. Sure, toys are fun, and the kids get plenty of them. But I also love to give gifts that won't just get tossed into the toy box to collect dust once the little ones get bored. Little Twig and Sparrow Pajamas are the perfect gift idea for the little people on your gift list this year. First of all, what kid doesn't love a comfy, cozy pair of PJ's?! Also, these pajamas are made from Tanguise cotton from Peru, which is very high quality and made to last for many years. In fact, these garments are so well made, they could likely be passed on to other kids once the recipient outgrows them. One winner will receive a $1,000 Disney Gift Card. Giveaway ends November 18th at 11:59pm, open to US and Canadian residents, ages 18+. Excludes Quebec. Only one entrant per household, per address. Winner is subject to eligibility verification. Enter using the giveaway form below. Good luck! a Rafflecopter giveaway Disclaimer: The participating bloggers were not compensated for this post. No purchase is necessary to enter. One entrant per household, per address. Void where prohibited by law. Winner(s) will be contacted by email and have 48 hours to respond before a new winner is chosen. The sponsor(s) will be responsible for product shipment to winner(s) of this sweepstakes. 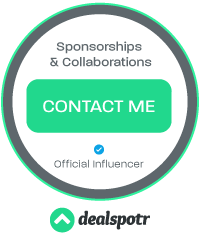 This event is in no way administered, sponsored, or endorsed by, or associated with, Facebook and/or Twitter, Google, Pinterest. Contact teri@mompoweredmedia.com if you have any additional questions or comments. In today's increasingly global atmosphere, being able to communicate in a second language is a very helpful skill to have. In fact, many career fields give preferential treatment to applicants who are bi-lingual. This means that teaching our kids a second language from an early age will definitely help them have an edge as they grow older. In my home, we like to celebrate diversity, and we use several outlets to expose our kids to varying languages. Some are language DVD sets, including full-immersion programs, and others teach language in a more conventional way. Another thing we do to help our children learn foreign language basics is watch multi-cultural children's programming, like "Maya & Miguel". Sophie and Xander absolutely adore following Maya and Miguel in their adventures, and they also love picking up new phrases and words in Spanish! Today, I would love to introduce you to a really fun gift idea for the little people in your life. Pop Out Pets offer 3 vibrant, plush pals in one snuggly toy! These 3-in-1 plush animals come in a few great varieties, each featuring 3 animals from that habitat. If you're the parent of a teenager, chances are, you are well aware of the fact that teens seem to love their beauty rest. If your teens are anything like my teen son, Kyle, they may even completely resist the idea of getting up in the morning. I can't even tell you how many times I have been greeted in the morning by a mostly incoherent grumble of "Mom... Just 10 more minutes!" Sponsored By JACOB BROMWELL! 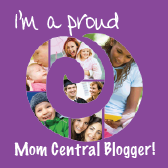 Hosted By Bargain Hound Daily Deals & This Amazing Group Of Bloggers! Who else loves handmade gorgeous MADE IN THE USA products? How about from a company that has been producing them since 1819! Chances are your grandparents had some Jacob Bromwell housewares! Mine did! I have a flour sifter that I brought with me from Oregon! it is VERY old and made from Jacob Bromwell. I STILL use it! No idea how old it is other than over 30 years for sure. Its amazing to think that my grandkids will still be able to use these items! My family has eaten thousands of cookies and hundreds of cakes...made with my old sifter! By shopping at places like Jacob Bromwell you are not only keeping American heritage alive, you are also keeping American jobs here is the good ol USA and starting your own family legacy! Items to truly cherish! **Disclosure: This contest is in no way sponsored, endorsed or administered by, or associated with, Facebook, Twitter or Pinterest. By entering this giveaway, you understand that it is no way affiliated with Facebook and release them from any liability. Prize fulfillment is the responsibility of the sponsor. A winner will be chosen via random(dot)org . Hosted by Gone Klippin' Krazy and group of great bloggers! “Give the gift that Gives Fresh Water 365 days a year” If you’re looking for a water filtration system that really works and will provide you safe, cleaner, better tasting water the 10 Stage Water Filter System is the answer and definitely worth the money. In fact after looking at other in home water filtration systems this is a great price. A premium product at an affordable price. Check out New Wave Enviro's complete line of Enviro Filters, BpA Free Enviro Bottles, Seriously Safe Stainless® Steel Bottles and Litter Free Lunch™ Products help to improve the quality of life while creating earth-friendly alternatives. The current trend of people buying bottled water is not good for our environment. The plastic bottles are piling up and leaching toxins back into our environment. I say enough is enough. With a product like the 10 Stage Drinking Water Filter you and I can make a real environmental impact, for the good! The 10 State Drinking Water Filter will make a great gift for your family and you will be protecting their health and the earth. Win, win if you ask me. I was very excited to receive this water filter for review. Please read our whole review HERE. Your going to love this Water Filter System. Make sure you visit New Wave Enviro and browse their selection earth-friendly alternatives. Shop 10 Stage Water Filters Here. And now the exciting part…“New Wave Enviro” has generously offered to sponsor a GIVEAWAY! The lucky winner will get a 10 Stage Water Filter System ($129.95 value)! You can enter this giveaway using the Rafflecopter widget below. Make sure you enter NOW and good luck!! a Rafflecopter giveaway Disclosure: This contest is in no way sponsored, endorsed or administered by, or associated with, Facebook, Twitter or Pinterest. By entering this giveaway, you understand that it is no way affiliated with Facebook and release them from any liability. Prize fulfillment is the responsibility of the sponsor. A winner will be chosen via random(dot)org .